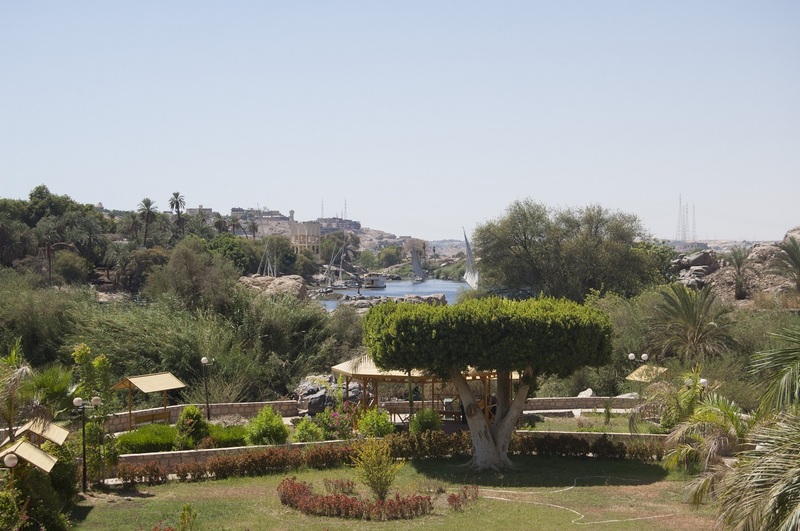 The Old Cataract Hotel Aswan just could be our new favourite hotel! The hotel takes its name from the meeting of the river with the granite barrier which creates the first cataract of the Nile. 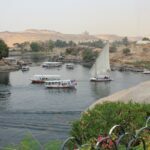 It is beautifully located on the east bank of the Nile overlooking Elephantine Island, Aswan’s oldest settlement, and the ruins of a temple dedicated to Khnum, god of the Nile floods. Sitting and imaging what the original temple looked like, while watching the swan-like feluccas sailing by, is absolute heaven! The hotel was originally built by Thomas Cook in 1899 to encourage tourism to Egypt. The Victorian facade with its balconies and terraces conjures pictures of the aristocratic grand Tour period and the early 20th Century retreat for the rich and famous, heads of state, archaeologists and explorers. The hotel was completely restored and reopened for business in 2011 (one of the Sofitel Legend hotels). The renovation has been artfully done so that one can still imagine Howard Carter, who stayed here after discovering the tomb of Tutankhamen, Winston Churchill smoking a cigar in the bar, or Agatha Christie roaming the hotel and relaxing for high tea on the famous Terrace. The hotel’s fame was revived in 1978 with the filming of Agatha Christie’s Death on the Nile, starring Peter Ustinov. There is a very large swimming pool (also overlooking the Nile) which was wonderfully warm when we visited in January. There are three restaurants (Continental, French and Oriental), so lots of variety and the quality of the food and presentation was lovely. The high tea, including scones and cream, served on the terrace is a meal in itself, so one afternoon we had that in lieu of dinner. The staff are charming and very well trained. There are also Customer Service Representatives that solicit suggestions for improvement. The Nubian Museum is just a 10 minute walk from the Old Cataract and is well worth a visit. You can also visit the temples of Abu-Simbel from here as well as explore the exciting spice market in Aswan. Our junior suite was absolutely palatial, and we would have been happy to live there for months! We had two balconies overlooking the Nile, a living room, bar area, dressing room, bed room and the best bathroom! With great weather and such comfortable surroundings, we really recommend a multi-night stay for a lot of luxury and a haven of peace in the vast desert.